While it's obvious how caregivers are helpful to clients, since they are the ones providing direct, personal care. They support your clients emotionally, physically, and mentally and ensure that they are attending to the needs that help a senior age independently and safely in their homes. Never left alone. With ClearCare’s advanced home care software and home care system, your clients will never be left alone. ClearCare’s robust scheduling and messaging system allows agencies to fill open shifts and find available caregivers in a matter of minutes. This means that your clients will always have access to care so that they can get the proper assistance at home. Needs always addressed. For some clients, it’s pretty straight forward in terms of what they may need help with accomplishing at home. Some clients don’t need too much assistance, and others are vocal in asking the caregiver for assistance around the home. However, in other cases, especially for clients with Dementia, it may not be 100% clear what activities or tasks need to be done for the client. ClearCare’s home care software and home care system addresses this, as it allows home care administrators to assign specific tasks to caregivers related to the needs of the client. These tasks are accessible to the caregiver before the beginning of the shift and are used as reminders to make sure that a client is receiving assistance and care in every aspect of their daily living. In other words, ClearCare’s home care software helps ensure that a client’s needs are never neglected so that they can age healthily and safely in their homes. Building a care team. The integrated application of ClearCare’s home care software and home care system enables the ability for clients, family members, and home care administrators to build a “care team” around a client. 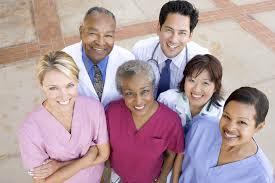 A care team is a network of people who are involved in the health and care of an individual. With ClearCare, caregivers, home care administrators, and family members are all brought together in one system where live caregiver updates (recorded directly from the client’s home) are instantaneously shared with family members and administrators who can monitor for urgent matters that need immediate attention. This type of immediate access to care updates allows for transparent access to activities taking place in the home related to the well-being of the client. Essentially, the care team that is formed through ClearCare becomes a “safety net” that monitors, captures, and addresses a client’s condition to help ensure that a client is well. Although not physically there to assist your clients, ClearCare has some great benefits that can help your clients in many ways. Whether it be ensuring that they are never left alone, making sure that their needs are always addressed, or helping to build a care team, ClearCare is always by your side.